BioWare Becomes its Own Label, Good for UO? According to Gamasutra, BioWare has become its own label under EA. What’s happening is that there is now a “superdivision” of sorts called EA Labels, and that will have the labels EA Games, EA Sports, EA Play, and BioWare under it. In the past, BioWare was under EA Games, and now it’s been given a much more prominent role. Frank Gibeau is heading up EA Labels – he formerly ran EA Games. “We’re focusing on building our intellectual properties/franchises into year-round business,” he wrote today. And yesterday, BioWare San Francisco was created out of EA2D. The EA2D Studio created Dragon Age Legends and Mirror’s Edge 2D, so it makes sense given that BioWare is taking over all of the RPG and MMORPG titles. What does this mean for UO? Really good things I believe. To me, it means that full control over UO will be handled by RPG/MMORPG folks from BioWare. I think it was already happening to an extent. BioWare has already shown an enthusiasm for the Ultima franchise, work is being done on UO to grow it going into the future, plus the Ultima Forever project, and on Dark Age of Camelot. 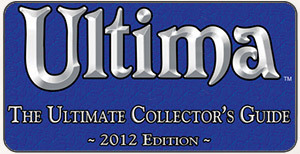 Dark Age of Camelot recently received a new website at DarkAgeofCamelot.com and has dropped the Mythic label, carrying only the Origin.com, EA, and BioWare labels. 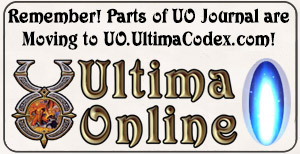 It’s similar to UltimaForever.com. BioWare appears to be taking full control of its franchises. I was actually going to sit on this for a few days since I had another article I was working on that tied into it, but it really deserves its own story.